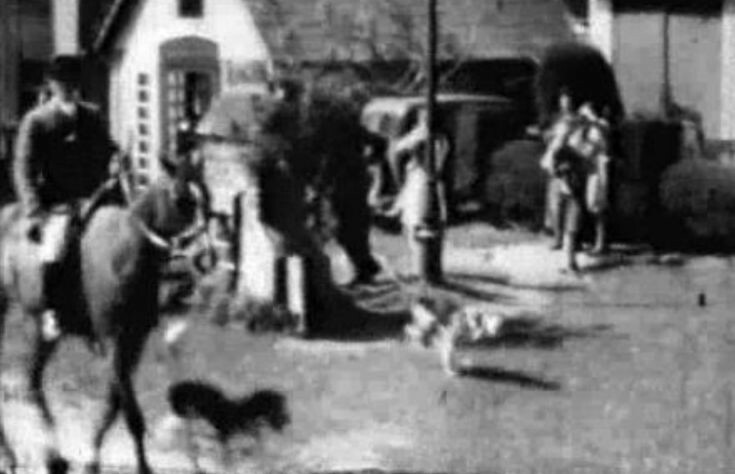 Filmed by Roger Ray on his newly-acquired 9.5mm clockwork cine camera, the local fox hunt met outside St Mary’s church in Slaugham and then made its way up the drive towards Slaugham Park. The film is quite scratched and very short but it gives a glimpse of life in Slaugham in the middle of the last century. I recall that horses, hounds and the general public mingled freely in those days, but I have noticed that in more recent years the hounds are kept away from the public. At 0.10, at the top of the screen, a lorry passes by fully loaded with milk churns. As the hunt moves off through the. street, in the background can be seen the village post office and stores which closed for business in 1978. Meanwhile a hound has mistaken the village tap as something more akin to a water closet! Click on View Video to watch the film.